Mute are the lips that have pledged us their troth. 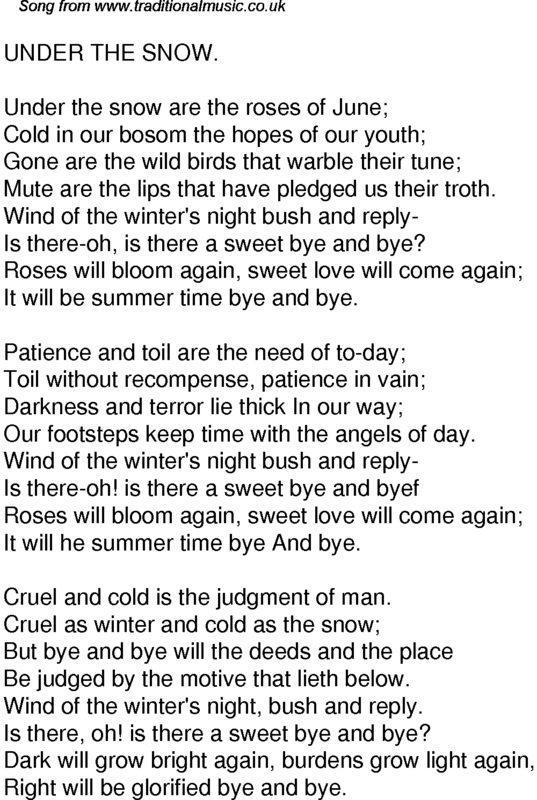 Is there-oh, is there a sweet bye and bye? It will be summer time bye and bye. Our footsteps keep time with the angels of day. It will he summer time bye And bye. Cruel and cold is the judgment of man. Wind of the winter's night, bush and reply. Is there, oh! is there a sweet bye and bye? Right will be glorified bye and bye.